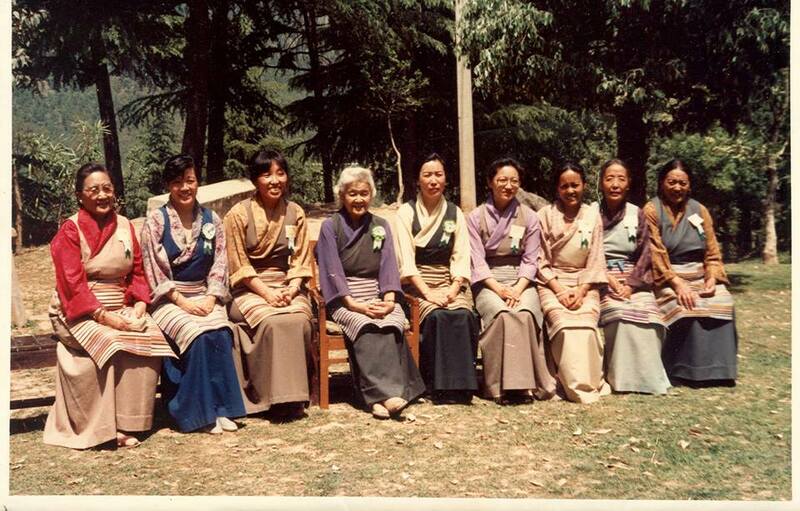 Today as we celebrate the 29th year of re-establishment of Tibetan Women’s Association in exile. Fore mostly, we hearty honour and remember all the great women martyrs who led and took part in the greatest uprising on March 12, 1959 and bravely sacrificed their lives in the struggle. We share our solidarity with all our brothers and sisters who set themselves alive with fathomless courage and dream to free Tibetans from Chinese repression and make every Tibetan’s dream come true. political activism. 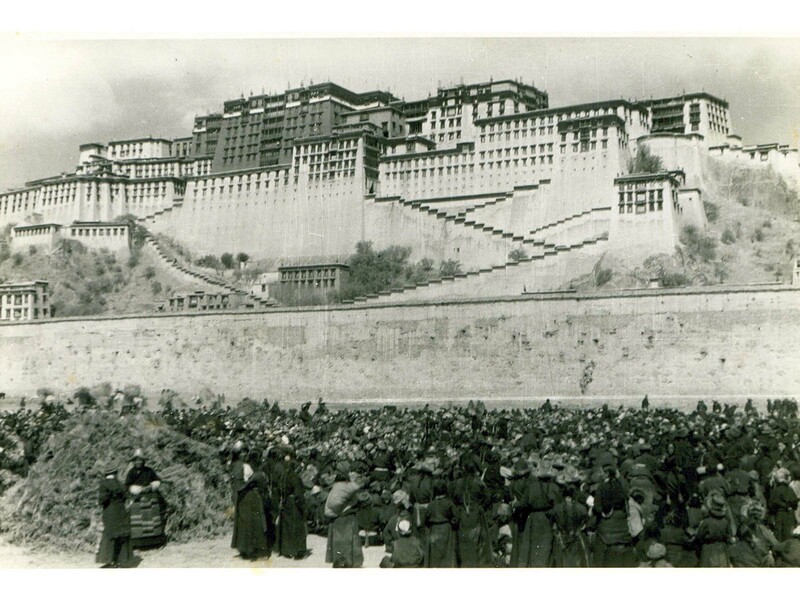 It was initially founded on 12th March 1959 when Tibetan women led an uprising to revolt against China’s brutal occupation of Tibet, killing almost a million Tibetans and destroyed thousands of monasteries. This association was reinstated in exile on 10th September, 1984 by Tibetan women under the guidance and blessing of His Holiness the XIVth Dalai Lama. His Holiness the Dalai Lama mentioned about the disappearance of Tibetan Women’s organization that existed before and also expressed importance and benefits of having such organization in society on 6th September, 1984, in his address at the pre-advisory meeting on the selection of the ninth members of the Tibetan Parliament. TWA has a very humble beginning with 800 Tibetan women as the members of the association and opened 12 regional chapters across India. Today, TWA is the one of the oldest NGO in our exile community, encompasses 16,000 members in 56 regional chapters across four continents (Asia, America, Europe, and Australia). With blessing of His Holiness the Dalai Lama and remembering the undying spirit of fellow brothers and sisters, we put our best effort to bring up Tibet issue on International platforms to spread the awareness and get justice to our cause. At the same time, our focus remains on strengthening our exile community by supporting the education of women, organizing various trainings and workshops to empower Tibetan women in exile. We have clearly stated our projects, campaigns, activities and future plans at the XIth Working Committee Meeting held this July at Dhondenling Tibetan settlement. In the recent years the Tibetan community has come to know of the massive environmental destruction in Tibet besides global warming and climate change as the wreaking havoc on the Tibetan plateau. The rapid environment degradation has caused floods in the neighboring countries and desertification of grasslands in Tibet. An old gentleman named Phurgyal from a small village below Mungra town, eastern Tibet could not bear to see further desertification of grassland near his village and took the greatest initiative and effort to plant trees on the desert. He started his work in 2003 and the land which was once a desert is now a forest. Tibetan Women’s Association has translated Phurgyal’s documentary into English with the hope and determination to submit, discuss and distribute this great initiative at international and national environment platforms. 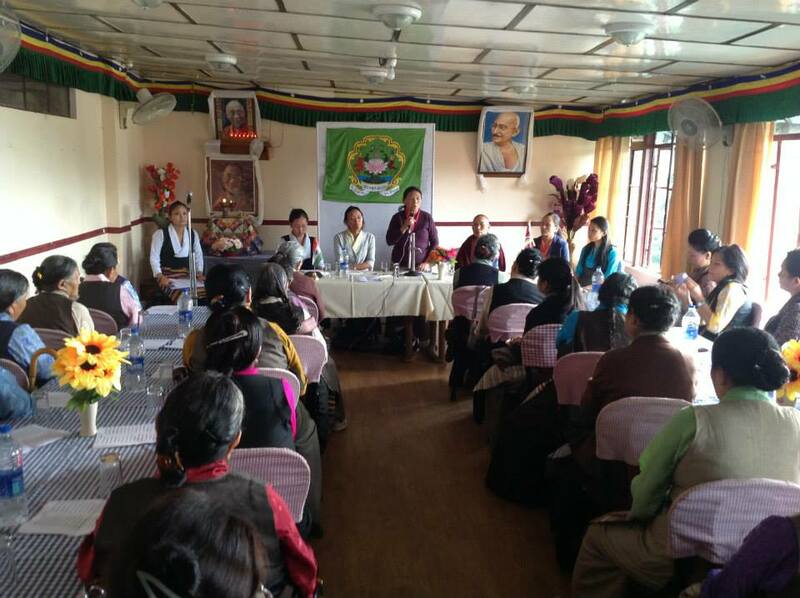 June 2013, we have started with a yearlong project titled ‘Legal Empowerment of Tibetan Women in Exile’, a direct outreach program and essentially an educational and empowerment program on Human Rights and women’s legal rights. The program aims to encourage women to pursue justice rather than wait for its appearance, informs them about its means and procedures, and also emphasizes the strength of sisterhood and to overcome the atrocities against women. We remain committed to expand this project after the evaluation meeting and public interest demands so. This year we welcomed interns from Middle East countries to share and understand each other’s livelihood, culture and struggles. We believe we are able to learn and promote one another’s unique culture and powerful struggle through such exchange programs. Alongside, we are even working on comparative articles in order to observe and study the two different ethnic’s struggles. We believe all these works are significant moves to spread awareness on Tibet. 1. Middle Way Policy as adopted by Central Tibetan Administration in exile is the approach to resolve the issue of Tibet, and to bring about stability and co-existence between the Tibetan and Chinese people based on equality and mutual favorable policy. Therefore, we strongly appeal International committees and Tibet support groups to urge and pressure China to restart the dialogue and forgo all the misconception it held against the policy. 2. Tibetans inside Tibet are suffering under the Chinese hard line policies over last 60 years; this callous policy aims to destroy the root of Tibetan ethnicity and we therefore request the International committee to send North Atlantic Treaty Organization (NATO) to Tibet. 3. 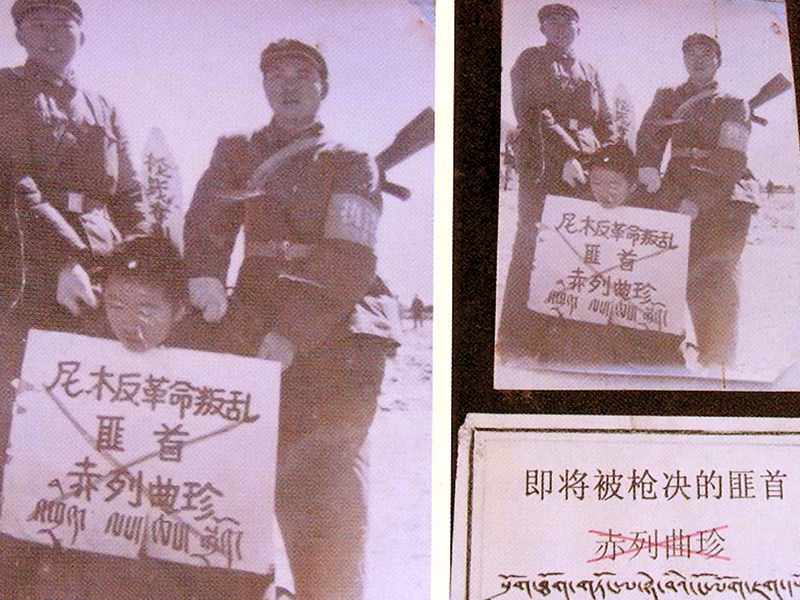 Tibetans struggle has been the most peaceful resistance, yet China holds discriminative and ruthless policies against Tibetans and connects our struggle to that of terrorism and splitists. China has accused His Holiness the XIVth Dalai Lama, the world’s renowned ambassador of peace and non-violence as splitist and exile Tibetans’ democratically elected political leader, Dr. Lobsang Sangay as a terrorist. China will solely be responsible for aftermath of such bigotry and injustice. 4. The unbearable hard line policies and injustice have compelled many Tibetans to self-immolate. However the Chinese government has never communicated to the Chinese people about the reality behind self-immolations; therefore it is high time for international community and people to unite and stand for Tibet. 5. We urge United Nation’s Committee on Enforced Disappearance to pressure China to release His Holiness the 11th Panchen Lama, Tulku Tenzin Delek and all the political prisoners. We remain very much concerned about their health conditions and well being. We the Central and Regional Tibetan Women’s Association have appealed to the International Court of Justice, UNICEF, UN-Women and United Nation High Commissioner for Human Rights to intensify their pressure to stop China from framing and plotting the family members, friends and relatives of self-immolators as murderers and inciters. We remain committed to continue with more such campaigns. To conclude, we pray for His Holiness the Dalai Lama’s long life and may we reunite in Tibet very soon.